Refrigerator Dough takes the stress out of party prep work. This Czech recipe is slightly sweet and tender. According to LaVina Vanorny-Barcus, in My Czech Heritage Cookbook, there are four ways to shape this dough. The first three are for sweets, the last one is for savory, or Klobasneks. 1. Cut a square; add filling in the center, then bring the four corners together over the top of filling. Pinch to seal. Let rise and bake. 2. Cut a rectangle; spread with filling, then roll up like a cinnamon roll. Cut log into discs. Take discs and pinch the two sides to hide the filling. Bake. 3. 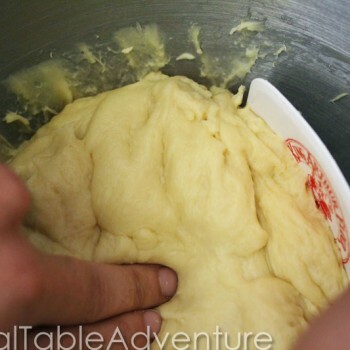 Make small balls with dough. 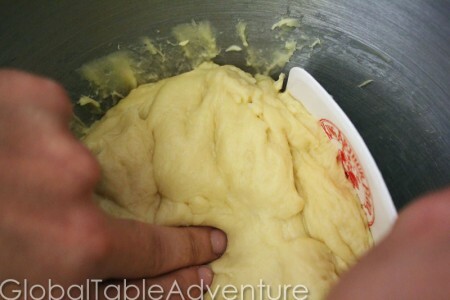 Let rise, then press the center down with thumb or fingers until it looks a bit like a doughnut. Fill indentation with filling, let rise again, and bake. 4. Cut a rectangle – spread with meat filling. Roll up and pinch ends. Let rise, then bake. 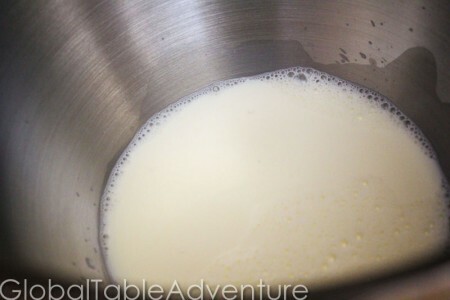 Splash some warm milk into the bowl of a standing mixer. What? You don’t talk to yeast? 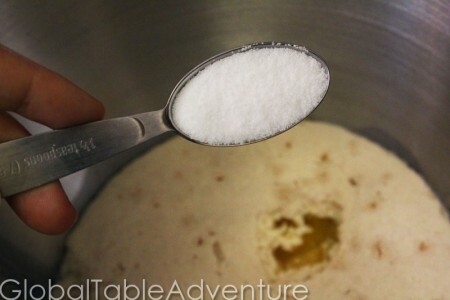 add it to the yeast mixture when lukewarm. 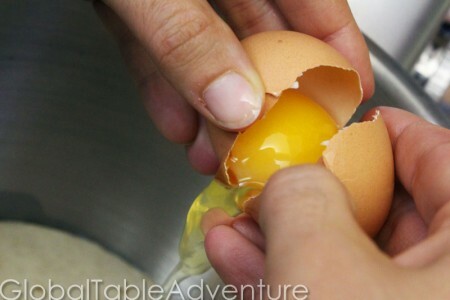 Crack in an egg – look at this gorgeous yolk! 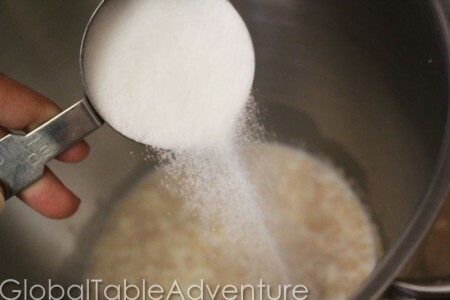 And 5 cups of flour… only add the rest if the dough seems really wet. This is how it should look: soft and a little moist. Scrape the sides of the bowl and cover really well with plastic wrap. What can I say. I’m slow moving in the morning… especially on Saturdays. 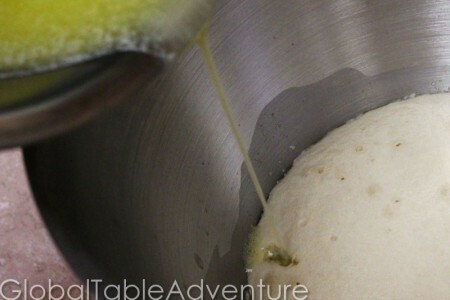 The dough will be fine whenever you take it out (10-14 hours), as long as it is doubled in size. Refrigerator Dough takes the stress out of party prep work. This Czech recipe is slightly sweet and tender. According to LaVina Vanorny-Barcus, in My Czech Heritage Cookbook, there are four ways to shape this dough. The first three are for sweets, the last one is for savory, or Klobasneks. 1. Cut a square; add filling in the center, then bring the four corners together over the top of filling. Pinch to seal. Let rise and bake. 2. Cut a rectangle; spread with filling, then roll up like a cinnamon roll. Cut log into discs. Take discs and pinch the two sides to hide the filling. Bake. 3. Make small balls with dough. 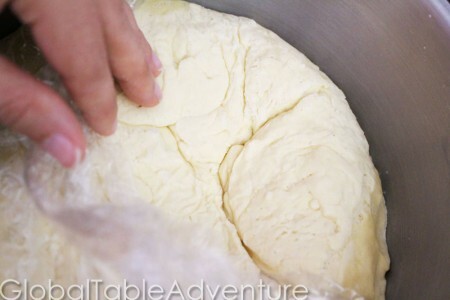 Let rise, then press the center down with thumb or fingers until it looks a bit like a doughnut. Fill indentation with filling, let rise again, and bake. 4. Cut a rectangle – spread with meat filling. Roll up and pinch ends. Let rise, then bake. 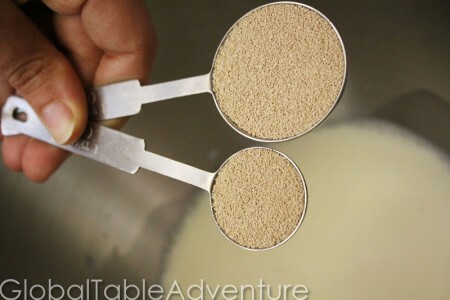 Mix yeast, milk, and sugar together in the bowl of a standing mixture. Let sit about 5 minutes, or until yeast becomes frothy. 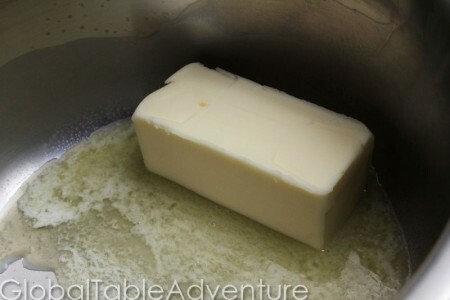 Add in salt, melted (but not hot) butter, eggs, and flour. 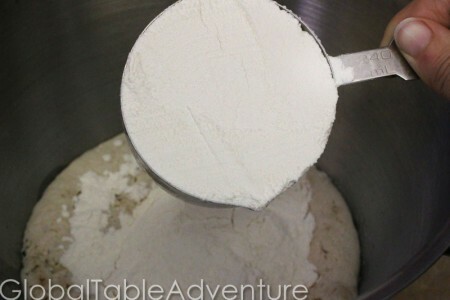 Mix or knead for 10 minutes. Use to make Czech treats or snacks - or as desired. Oh thank you ! I will try this as soon as I’m better (I’m at home with a fever and a sore throat) and try to fill it with poppy seeds ! I can’t wait ! 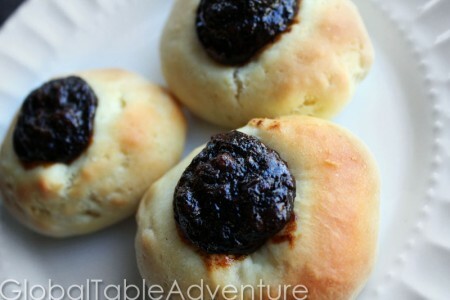 I love the look of those prune buns! I am a big stuffed prune fan and often put prunes in fruit cakes. Yummy! I am a third generation Czech Texan and my mother never taught me to cook either. 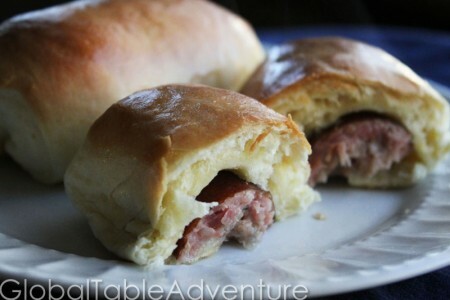 My husband LOVES sausage kolaches so I can’t wait to try this! Yay! I’m so glad to help you recreate family traditions, although I’m sure your moms was best 😉 Let us know how they come out… have fun! It might be because these recipes are not really Czech, the soup is Polish 🙂 Otherwise really nice and inspiring blog. This is wonderful dough!! So light and delicious! Used it for the kielbasa Kolaches and Apple kolaches. I found another recipe where you can add 1st cup of flour and let sit for 30 min, then add egg,oil and rest of flour and raise 1 hour – 1 1/2 hrs and dough was wonderful- raised beautifully!